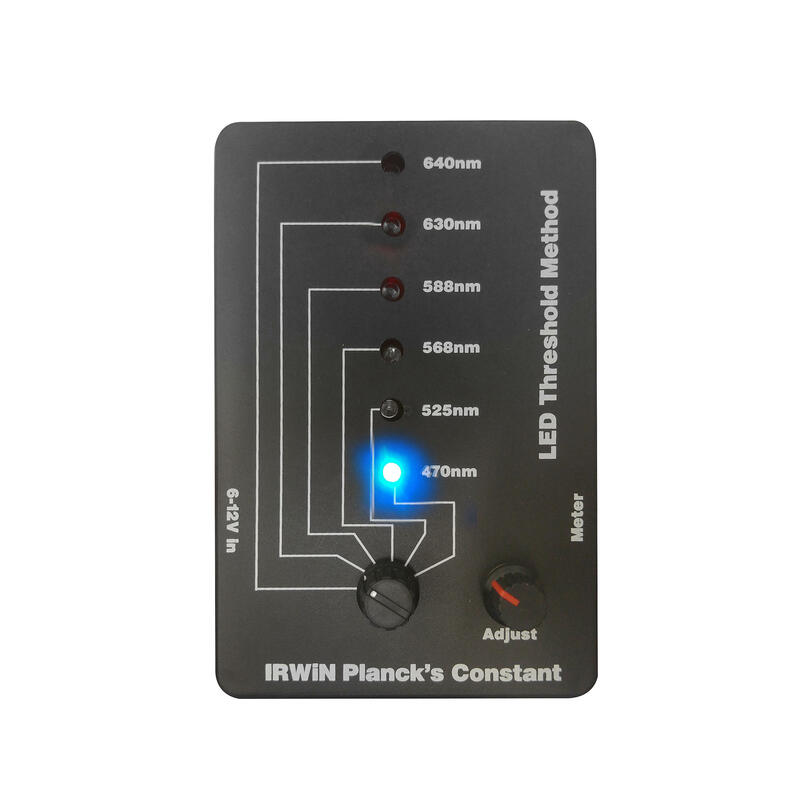 A multipurpose unit that allows the user to easily calculate Planck's constant, to measure the wavelength of coloured light, demonstrate colour light transmission through colour filters and show the diffraction patterns for various wavelengths of coloured light using a range of 4 LEDs (Red, Yellow, Green and Blue) covering the light range from deep blue at 470nm to near IR at 940nm. 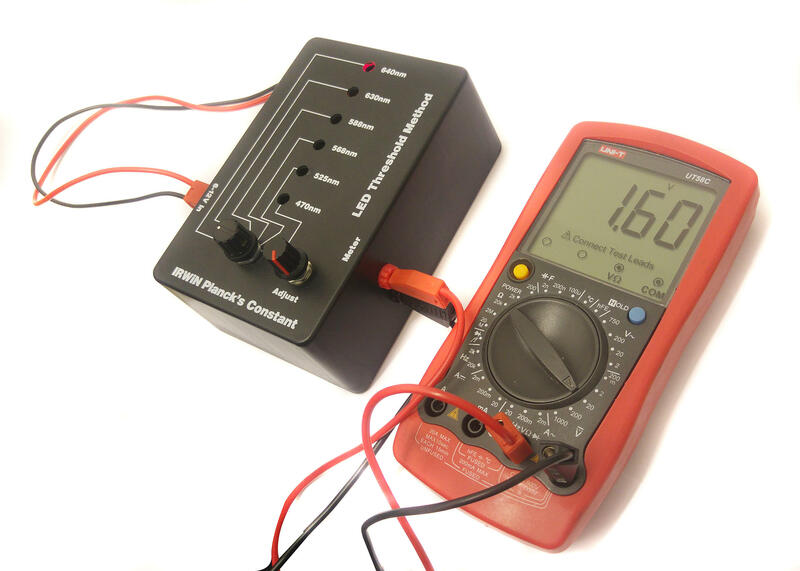 Box mounted with 5 x 4mm sockets for attachment to an ammeter or voltmeter to display measurements. 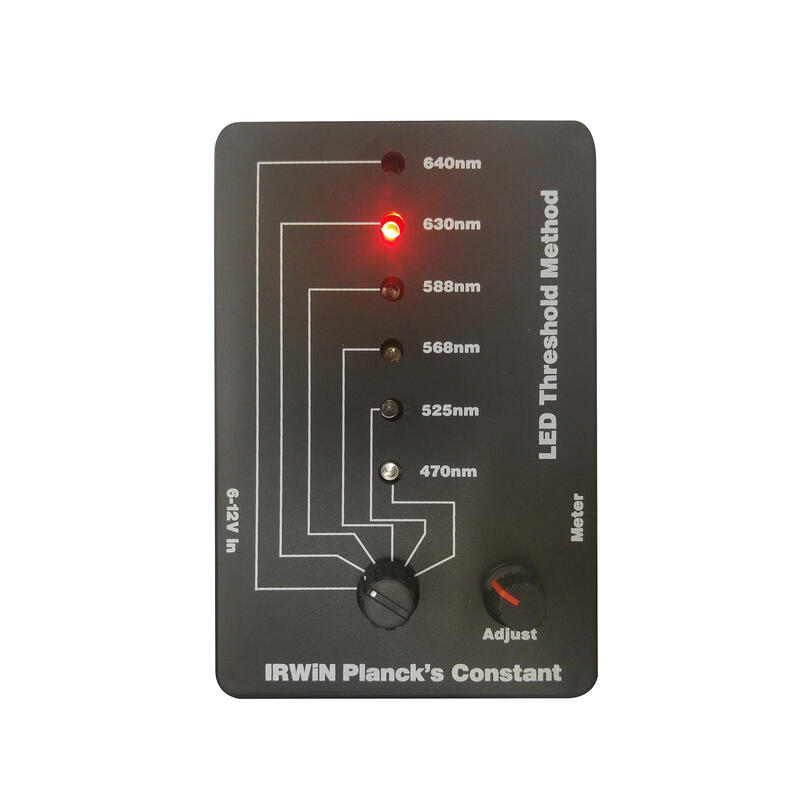 Monitoring the voltage of each LED a graph of energy input as a function of light frequency emitted can be measured with an approximate value of Plank's constant calculated.